All importers are reminded that only specimens of pure bred Florida and Cuban gars are imported into the England and Wales. Despite previous warnings illegal import of hybrid gars have been found. If importers have any doubt as to the identity of any gars from the trade description provided they should speak to Fish Health Inspectorate before importing them. There is more information at the end of this article about Scotland and Northern Ireland. We would urge all importers to carefully check orders from suppliers and ensure all paperwork. If issues continue it is likely that imports will be subject to longer checks or seizure or prosecution and at worst it could lead to a complete ban on the import of all gar species. If you are aware of illegal imports please report direct to Fish Health Inspectorate (FHI) or to the OATA office. FHI is responsible for enforcing the Import of Live Fish Act (ILFA). FHI has raised concerns about the import of hybrid and/or colour morphs of gars because they may exhibit greater tolerance to cold and so become an invasive threat (which is what ILFA is there to control). FHI continue to pay particular attention to any gars that are imported. Imported gars of indeterminate species will be seized by FHI and will subject to identification checks. They will be using techniques such as DNA analysis to determine the species imported and whether it is a hybrid (and of which species they are hybrids). Clearly it is not sustainable for FHI to verify the accuracy of importers’ declaration for an extended period. 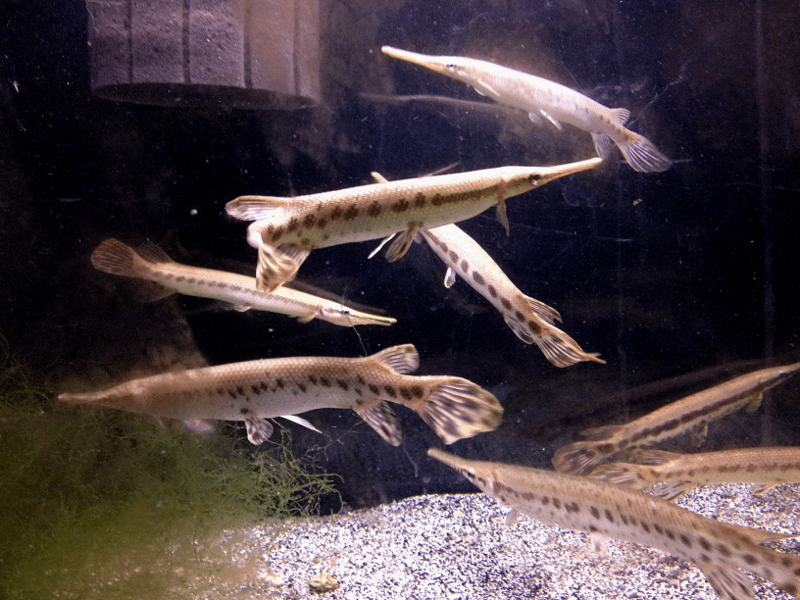 If prohibited gar species or their hybrids continue to be imported, then it is likely that the remaining legal gar species will be removed from trade in England and Wales. Species of gar and those that may be kept are listed in the table below. Because hybrids of species in this group may exhibit greater tolerance to cold than their parents they are not included in the list. Included in the table are links to the relevant sections of the internationally recognised source of species information, ‘Fishbase’. Importers are responsible for accurately identifying and declaring the species (and hybrids if appropriate) they import. Any failure to accurately identify any organism being imported may be regarded as mis-description and the animals may be seized. Retailers are required to make sure any fish are identified accurately at the point of sale – otherwise they will not be “as described”, a requirement of consumer rights legislation. See more info here about this. Due diligence should be followed to ensure that what you buy or sell is what you think it is. Importers are advised to ask their exporters to ensure that no hybrids are being sent – whether they appear normally pigmented or are more extreme colour morphs. Please remember valid scientific names should be used – trade names and common names for species are not reliable identifiers of species. Some of the trade names apply to several species and possibly inadvertently imply cold tolerance. So purchasers of “snow” gar should be very confident that they are purchasing a permitted species. Freshwater fish that can be kept for ornamental, scientific research or conservation purposes. This list can have species added or removed, subject to a risk assessment. Scotland has a shorter list of species of fish (including live eggs) whose keeping or release in Scotland is prohibited except under authority of a licence granted by the Minister. Find information here https://www.hmso.gov.uk/legislation/scotland/ssi2003/20030560.htm. 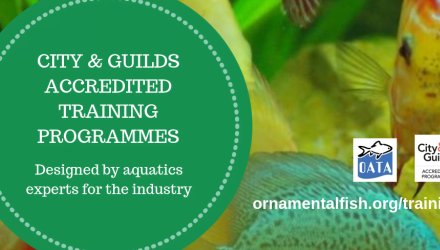 There are no controls on the import or keeping of ornamental fish in Northern Ireland though release into the wild is an offence under the Wildlife (Northern Ireland) Order 1985. It is highly likely that any gars entering either Northern Ireland or Scotland will have to be imported via a Border Inspection Post in England. This is only possible if the fish remain in unopened boxes and their final destination is clearly stated on the accompanying documents. OATA is also concerned that the complicated picture over gar species could lead to illegal sales over the internet. ILFA applies to everyone – not just businesses – and this situation may prove another example of bonafide businesses which follow the law losing out to people who do not. Examples of illegal sales in England and Wales should be reported to the Fish Health Inspectorate. Gather as much information as you can, including photos and screenshots, and send this to FHI. Report on its Facebook page. Hobbyists who may already have species that are not allowed in England and Wales should make sure they do not let the fish breed. They also cannot sell them or pass them on to anyone else. 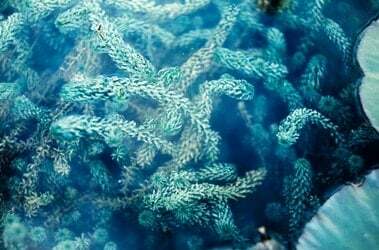 If, for any reason, they can no longer look after them the best advice would be to approach a public aquarium to see if it can take the fish, although the public aquarium would need a special licence from FHI to have that particular species. Under no circumstances should any of these fish be released into the wild.